The host will have created different scenario work stations which each group can move around. One might be a bed/or two chairs put together with pillows and blankets, one might be a corner of a room with baby bath and changing mat, one might be in a side room with all the equipment you have in situ, one might be two arm chairs or a sofa in a quiet space. Added to those spaces will be dolls of varying sizes, memory boxes, baby clothes, and baby equipment. Each group will spend 10/15 minutes at each scenario taking photos and being photographed as participants role play parents spending time with their baby. Each group would need to have camera – either the hospital/unit camera, a point and shoot from home or mobile phone. Groups will then need to select some photographs and upload them onto google classroom – the host will have received guidance on how to do this. Approximately an hour after photographs have been uploaded participants will receive feedback on the photos and view a slideshow of their work. This will be shared with everyone as a big group before the session ends. Hosts will need to find an environment suitable as a classroom with good internet access and a decent size screen and speakers. They will also need either to have a large area that is free from clutter so they can set up their workshop stations as described, or they need break out rooms or access to bereavement suits/side rooms etc.  Hosts will get support from Gifts of Remembrance staff in exactly what they need and how they access the virtual classroom and upload comments and photographs and will have support in designing a bespoke session that also suits their needs.